Among the various Canadian casinos which are powered by Playtech, Mansion casino is considered one of the longest running casinos since its establishment in 2004. Providing poker and casino betting services, the UK Gambling Commission and the Government of Gibraltar are responsible for the licensing and regulation of the casino. Enjoying the games on the Mansion casino is possible through the use of the casino software which you can download and install on a PC. 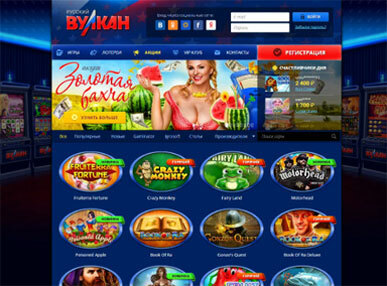 The Playtech engine is behind this development and they offer a lot of great games like Pink Panther, Green Lantern, Kong, Man of Steel, and more which are all licensed slot games. If your PC does not support the downloadable version or you would prefer not to install it, there is a direct access feature through the browser. This consists of the instant play games but with a lot fewer games which include the well-known titles. There are other gambling options available which include sports betting and online poker. The VIP members’ club login is a feature which is available to regular players on the casino. The Mansion casino sends invitations to players who meet the requirements for becoming a part of this club. There are a lot of advantages players get for being a part of this club which includes a deposit match bonus, exclusive VIP promos on a monthly basis, random cash drops, a Casino VIP Manager to directly get in touch with in case of any issue, opportunities to VIP pass to some of the best sporting events. The English Premier League matches are among the list of sporting events available. Security on the Mansion website is a top priority as it also features cutting-edge protection. Similar to what you have on most online banks, the site uses an SSL encryption technology which is an industry standard. This assures customers of privacy when there is a transfer of data from the casino server to their computer. Following the rules stated by the UKGC, only a Basic Protection criteria are met by the casino which means that if there is insolvency, the funds of a player can be claimed by the creditors of the casino. Another area where the Mansion Casino has an edge is the availability of payment options. The casino offers a great number of options for payment as there are also multiple currencies which the casino supports on its platform. With this, deposits are very easy to make with little stress. Moving on to the withdrawal process, this bears a lot of similarities with other casinos which are powered by Playtech. In a bid to get players to reverse transactions and spend more money, a transaction is reversible for the first 48 hours before processing of the transaction begins. For gamblers who have not disciplined themselves properly, this is an easy means to get them to reverse their transaction and use the money in playing additional games. Withdrawal limits are also available with a €30,000 limit for VIP players and €15,000 limit for regular players every month. Players love the Mansion casino at first glance once they take a look at the number of games the casino has to offer but the ones that stay do so thanks to the great customer support they get from the casino. The customer service works to provide solutions to various problems round the clock, and they are a group which the customers can rely on at any time.